If you ever wanted to learn about numerology, this is the place to be! 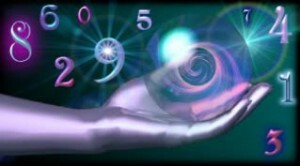 This web site is designed to be innovative, challenging and at the cutting edge of numerology and its development. Numerology.AstrologyClub.org aims to extract the true essence of numerology and apply it in a way that has meaning for the people of the twenty-first century. The site will be regularly updated with new information so if you enjoy the contents we recommend you bookmark our site for future updates. There is also a facility here for you to be informed when a new update has occurred. In the meantime we hope you will find our site informative and enlightening. Numerology AstrologyClub.org is a site seriously dedicated to pursuing the truth behind a subject more than 11,000 years old. The reasons for writing it are many. New books on the subject reiterate the contents of old books, yet the evolution of humanity moves ever forward. Cultures change and we believe that numerology, as a method, should reflect that change. In return for your participation we have developed a website that shares information relevant to each visitor. For those who would like to understand a little more about themselves and the people around them, there are calculations to work out the core element number of your name and date of birth. By sharing information we aim to develop numerology into a living, evolving science that is a useful tool for self-development that has purpose and meaning to the people of the twenty-first century. The web site has been designed to welcome beginners, intermediaries and advanced students. Sceptics are equally welcome to take part, as are numerology practitioners. We can appreciate the doubts many people have about esoteric subjects. Common questions are ones like, is it possible to glean any valid information from a set of numbers taken from a random, man-made calendar and a name chosen by our parents? There is no justifiable scientific proof to support any of it. If you are one of these people, we want your honest answers to our questionnaires. We hope you enjoy our presentation. If you have enjoyed the contents of this web site and think that some of your friends may like it also, please email our web site address to them. If you, or someone you know, have interests in other esoteric subjects such as Tarot, Astrology, Qabalah etc, then this project may still be of some interest. We will be updating the web site regularly with new updates, features, so if you are interested in keeping up with the subject of numerology, make sure you bookmark this page and visit us again.